- Isabel II (1833-1868). 1856. Madrid. 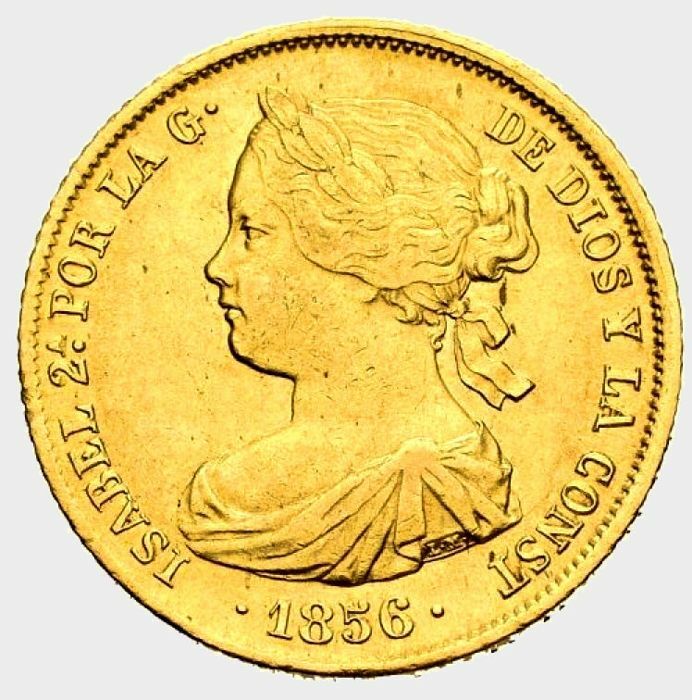 Spain - Isabel II (1833 - 1868). 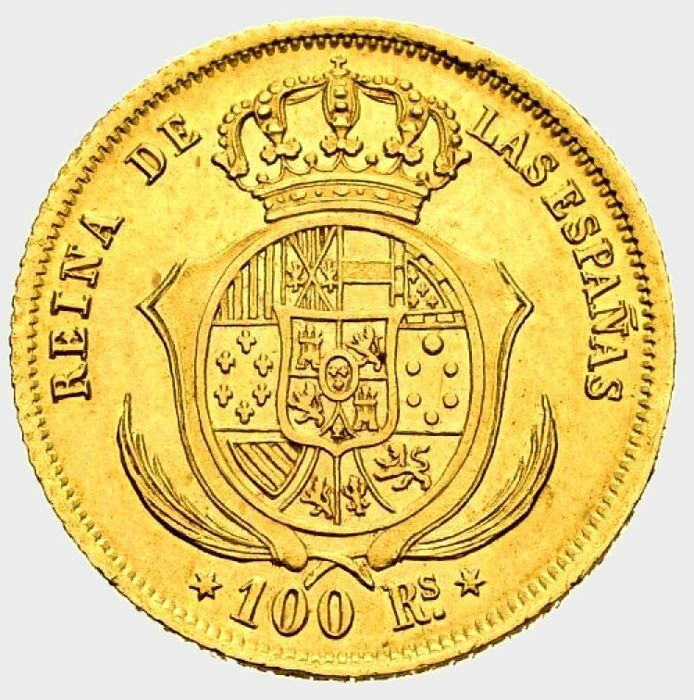 100 Reales in gold. 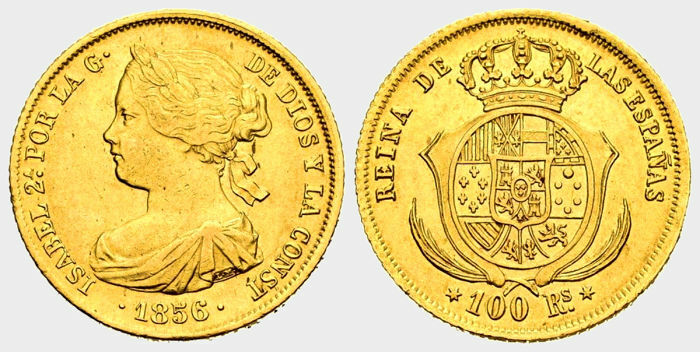 Very beautiful coin struck in the mint of Madrid in the year 1856. 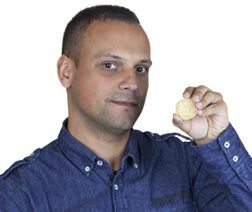 Weight: 8.32 grams, (.900 fine gold) and 22 mm in diameter. Extremely Fine, with a wealth of details.